Widow’s Christian Place: How Long Does It Take? At first it seems like you cry non-stop and you never expected it to hurt like this! Like you're flooded. You didn't know you had so many tears. Then you might get a repreive. You only cry a couple times a day. After a week or two, a couple times a week. Right now I don't have a clue - but I know He's not done with me yet! This post is great! 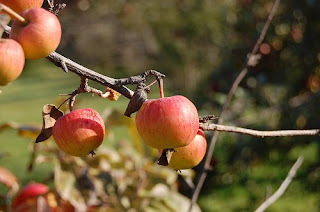 I love your connotation to our transformation into a resilient, fruitful orchard. That is very precious. I have a plaque in my kitchen that says... Only God knows how many apples are in a seed.